Four guys from Zurich, they could not be more different, are mending their diverse musical influences from classic singer-songwriter, cool 80ties pop, violent punk and contemporary electronic into an unique, organic piece of sound that is bound to no rules. Dark clouds bank up above, menacing, stunning, imposing. Their first EP was noticed and observed closely; it gained the band a german label contract, concerts at Komplex (zh), Dachstock (be) and at the Bad Bonn. They went on to play concerts in Greece and were even booked as a support for London Grammar. And that’s only some of it. 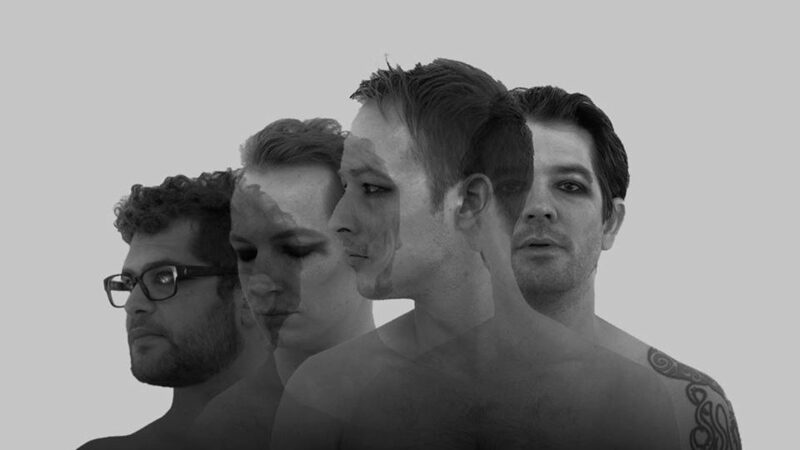 Now they’re following up with their debut album and first off: With its first longplayer, – once again produced at Admiral James T.s DALA Studios in Winterthur – the foursome DÉESSE has found it’s voice and it’s a dark, bold one. Elegant compositions collide with visceral notions, synths linger around angry guitars, delicate emphasis, fierce distortions. A thick double-bass backs the restive yet driving drum. The voice of singer Matias Moulin lifts the unredeemded spirit like a rolling thunder up into artistic conception.